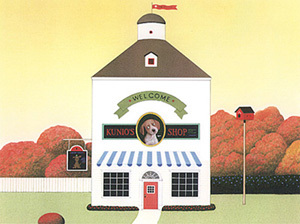 Kunio Collection brings together various cute animal themed goods by well-known artist, Kunio Sato. We are proud to offer a selection of products designed for everyone to enjoy and hope this relationship will lead to long-lasting happiness. There is no original shop only for English. I accept even from the shop in the shopping mall "Rakuten" in Japan, or the shop in Japan.